Are you still trying to process payroll yourself? Processing payroll in-house is difficult, stressful, and usually ends up costing you more than outsourcing it. Forget calculating different types of wages, tricky payroll taxes, and preparing W2s. Get a fresh start now by outsourcing your payroll to Stanek & Company PC. 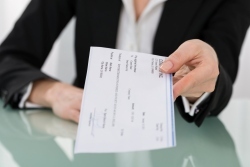 We process payroll for all types of small businesses in the Farmington Hills, MI area. At Stanek & Company PC, our rates are competitive and our customer service is unmatched. We design affordable payroll packages that come with friendly and responsive support. Feel free to contact us by phone or email when you have a question and we’ll always get you the answers you need promptly. Call us at 248-888-0099 or request your free consultation online now to learn more about our payroll services for small businesses.